CCP says "the power of the sandbox" in games like DayZ and Rust is influencing its approach to the World of Darkness MMO. 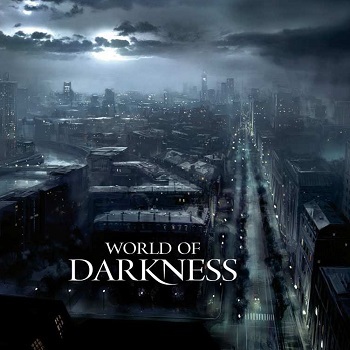 CCP has been working on World of Darkness for a long time now, but to hear CEO Hilmar PÃ©tursson talk about it, the groundwork for the game is still being laid. Recent cuts to the development team were intended to "increase focus" as World of Darkness continues to take form, and CCP has also taken notice of some of the more notable MMO-like success stories of the past few months. "The core dynamics of being human or vampire haven't changed, but we've certainly been taking inspiration from a lot of recent things. For example, DayZ and Rust, which have shown us the power of a sandbox when you bring it into a more recognizable context," he told Rock, Paper, Shotgun. "The creators of those experiences often reference EVE Online as an inspiration for their things. We're now cross-inspired by what we're seeing there. How the absence of all these structured game mechanics - by just allowing these natural interactions to happen - that is something we're definitely incorporating into how we think about World of Darkness." That's vague - very vague - but also potentially exciting and actually a good fit with CCP's approach to EVE Online, perhaps the most player-driven of all the "major" MMOs currently in operation. EVE players are given the freedom to do virtually anything they want without interference from CCP, which is essentially how Rust and DayZ work as well: You pays your dime and you takes your chances. A similarly organic approach to World of Darkness, but set in a much deeper and more detailed world, could be flat-out fantastic. Of course PÃ©tursson did nothing to clarify what CCP is, or even might, be considering, but he apparently did imply that some insight may be forthcoming at the next EVE Fanfest, which will take place May 1-3 in Reykjavik, Iceland.